Chennai heat annoyed her. She missed her hometown. CA is an exam away, she told herself. After travelling in that excruciating sunny afternoon, she was told that the class is cancelled. So she headed to the Landmark showroom. 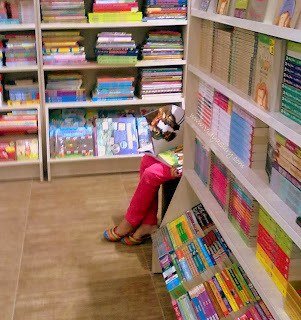 Soon she was surrounded with books and fictional characters; a world away from solitude and pricking heat! PS: This post is dedicated to all those aspiring CA (Chartered Accountant) students who leave their hometown and travel all the way to Chennai for attending coaching classes. They attend classes all through the day; 12-15hours sometimes. Pressure and tension builds and homesickness grows. I am one among hundreds of them who come there with the dream of becoming a CA. The prompt reminded me of those many afternoons I have spent in the Landmark showroom near the ICAI Chennai, reading blurbs... flipping through random books... reading the astrological forecasts to know beforehand how my academic performance would be... telling myself that someday I would start earning and start buying books... then finally going to the same Landmark showroom and buying a few books... beaming proud!!! Thanks Writer’sTribe and Vidya Sury for awakening so many sweet memories which were in their sweet dreams! 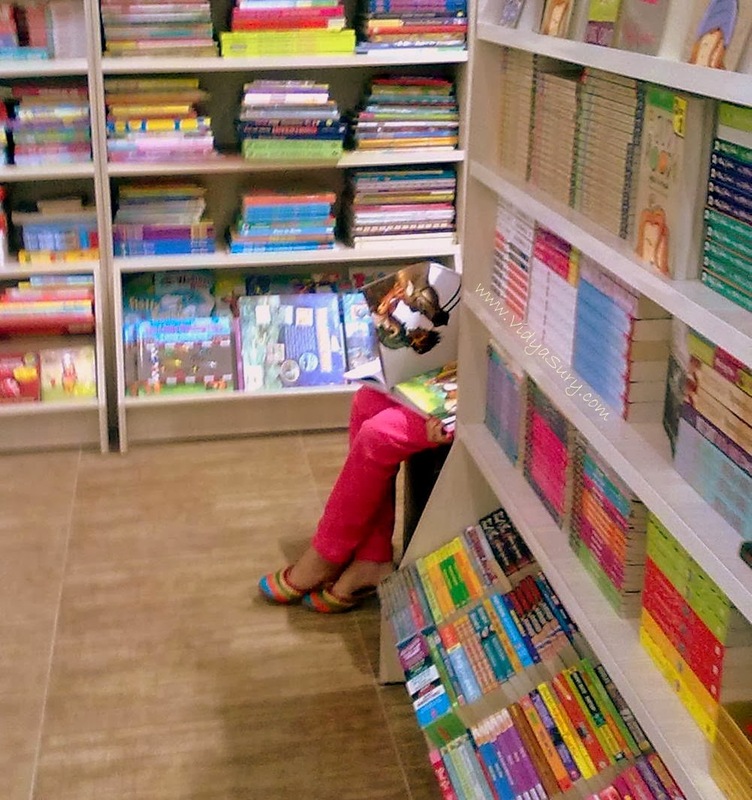 Landmark remains a haven for book lovers even though I'm increasingly tempted by Flipkart. Nice 55er. But still.. The joy of buying books from a books store is something awesome!!! And an ardent book lover...!!! For an ardent book lover, the most happiest place is a library or book shop. The prompt made me nostalgic!!! We dont really miss anything!!! Nice F-55-er. books are always a great companion , whether a lecture is cancelled or waiting for someone. A book for all reasons , a book for all seasons. Nice.. :) this prompt has brought out the bibliophile in a lot of us :D Congrats on your CA accomplishment. Oh and great to know you are a thinker too. Greetings from a fellow thinker. Book lovers know what they have to do the next moment, if there's an ideal moment looming around. They'll grab the moment and get glued to their books. So I seemed to have turned you nostalgic!!! A nice AC room would be refreshing from the heat and books - great way to enjoy an afternoon. Dropping by from the prompt.